The first Angel Olsen song I ever heard was “Forgiven/Forgotten.” I was riding down the New Jersey Turnpike with a friend when that jangly rhythm guitar of hers cut through the speakers. “Is this a new Fiona Apple song?” I yelled for confirmation over the constant snare hits, but my friend was far too preoccupied belting along to the lyrics. I must have run through a dozen different artists—St. Vincent, PJ Harvey, Courtney Barnett, Thao & the Getdown Staydown—but by the end of the single off of Olsen’s 2014 breakout record, the critically acclaimed Burn Your Fire for No Witness, I honestly couldn’t have cared less. Whoever it was, they had me hooked. Little did I know that that bouncy garage rock, my initial encounter with the St. Louis native, was only the tip of an iceberg into the discography of this genre-hopping jack of all trades. Over the years, Olsen’s knack for jumping among musical styles has found a special place in my heart. From punchy surf rock to cowpoke folk and slacker blues, she’s one of those artists I feel uncomfortable putting down for a while, knowing that when I get around to plugging back into an album of hers, my jaw is bound to drop over some small detail I’d never noticed before. Her warbling melodies are hard to pin down, taking turns that always prove pleasantly unexpected. That’s why this fall’s Phases, a collection of Olsen’s old demos and outtakes from recording sessions past, feels like an exclamation mark at the end of a six-year chapter in what I hope continues to be a long, successful career. The B-Side begins with “Fly on Your Wall,” which also opened Our First 100 Days, an anti-Trump protest album released this past May. Here, she delivers that trademark playful storytelling she’s become known for. “At first it wasn’t light / I went along for the ride / I was a fly on your wall / To see the height of it all,” Olsen croons. The collection’s only single, “Sans,” recalls Olsen’s early years, going back to 2011’s Strange Cacti EP. A rhythm guitar and vocals to match, which sound like they’ve been recorded off of a gramophone at the bottom of a well, “Sans” takes on the shape of a song like “Drunk and with Dreams” off of her debut album. Like earlier Olsen tunes, the lyrics pale in depth in comparison to some of her more mature contemplations—Burn Your Fire’s “Iota,” for instance. Much of Phases contains more polished recordings of bonus tracks off of the deluxe version of Burn Your Fire: “All Right Now,” “Only With You,” “May as Well,” and “Endless Road.” “All Right Now” is a personal favorite, evoking something of a Joni Mitchell slow jam blended with “Wildwood Flower” by The Carter Family. The flip side to Phases, Olsen’s MY WOMAN, was released last year and found its way onto Rolling Stone’s 50 Best Albums of 2016. From old-timey folk numbers like “Pops” to country punk rock like the album’s second single “Shut Up Kiss Me,” MY WOMAN has the makings of an indie classic, breaking from the seemingly inescapable twee wave that’s taken the genre by storm. Olsen doesn’t shy away from the mic—she’s a blunt force, upfront in the mix, and has undoubtedly established herself as a fixture in the alternative scene. 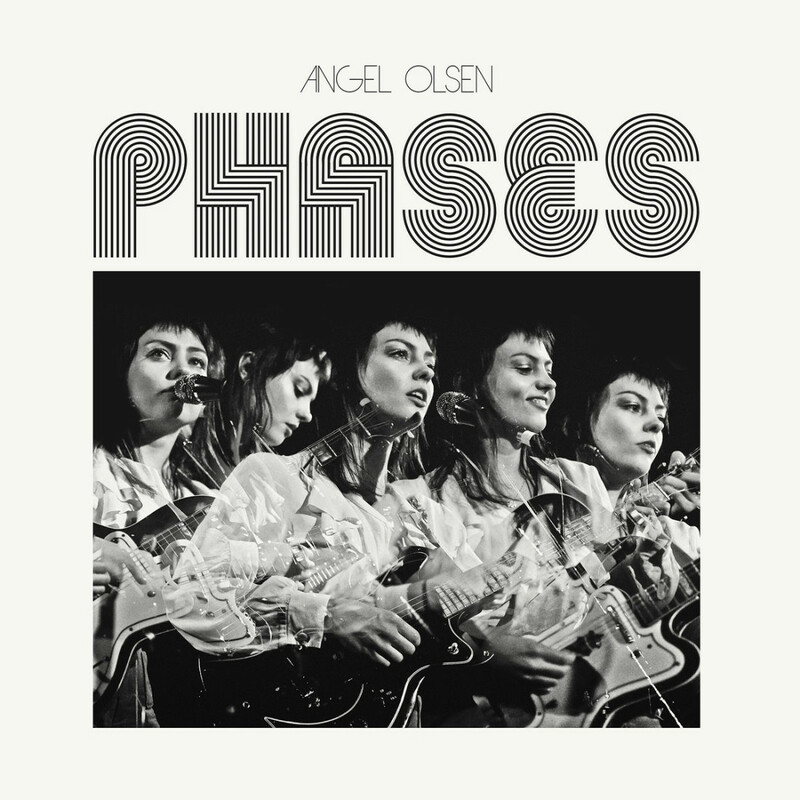 For an avid fan, Phases is an easter egg at the end of a string of three incredibly solid albums. The collection seems to have come full circle, nodding at all that’s come before it. With this in mind, a newcomer looking to get their feet wet might find better luck starting with Burn Your Fire or the A Side. But don’t get too comfortable. A shift may be in store. Olsen is currently on a tour through the U.S. and Canada, and with the recent announcement of yet another set of dates playing solo across Australia to promote the B Side release, she’s certainly been keeping busy. Regardless of where she’s headed next, I’ve loved what I’ve heard so far. Emmet Teran can be reached eteran@wesleyan.edu or on Twitter @ETerannosaurus.